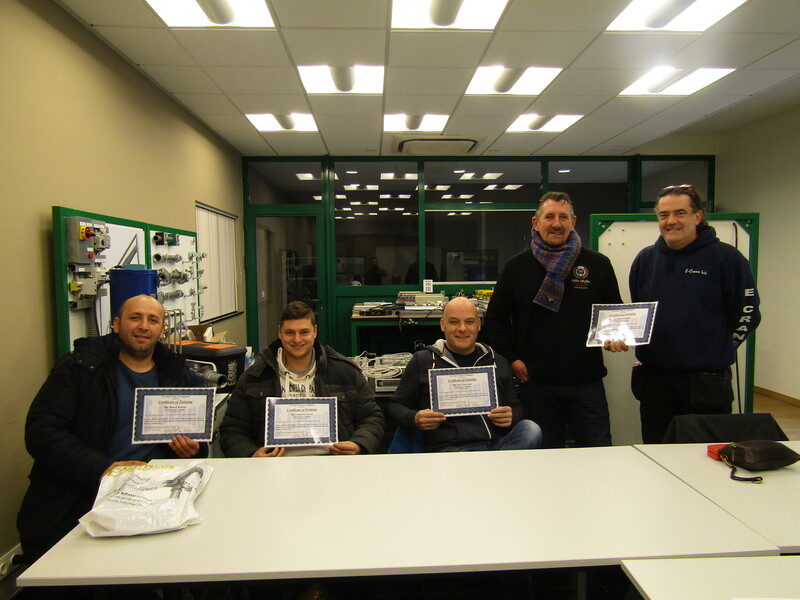 It has been a busy week at the E-Crane Academy with two groups of new students! The first group of four were future operators who came from the company Herbosch-Kiere for their self-propelled barge, the Albatros, equipped with a 1500 Series E-Crane. The core activities for Herbosch-Kiere include maritime construction, demolition and heavy lifting. 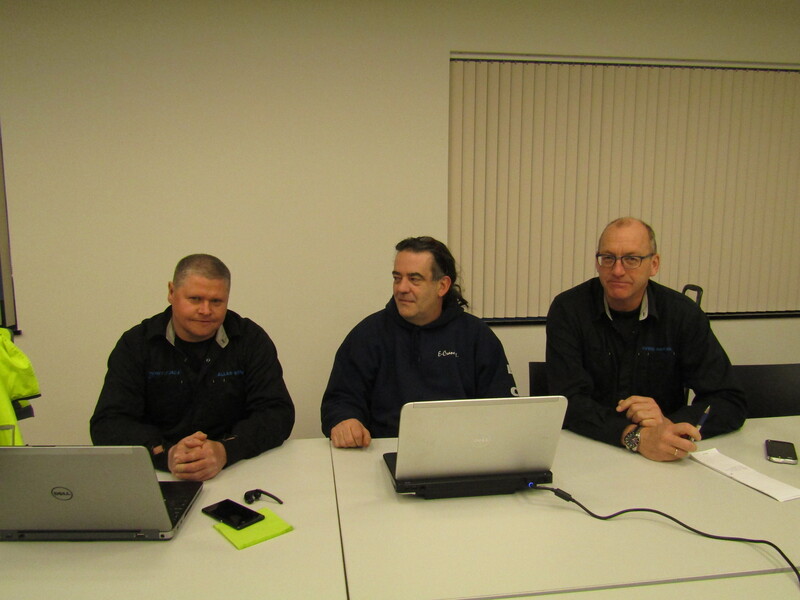 The second group consisted of two service engineers from Port-Trade Denmark. Port-Trade is a Danish company that provides material and cargo handling solutions and service for ports in the entire North European region. Port-Trade sells and services E-cranes. We provided training for the operators on the following topics: E-Crane Balance Principal and Layout, Safety, Basic Maintenance and Operation. The training was held at our training facilities in Adegem. The first day and half was focused on our theoretical modules and in the afternoon of the second day we explained in detail how to use the EMM screen on our test-stand. Later it was possible for the operators to try to change settings and to navigate through different screens themselves. The main purpose of E-Crane operator training is to provide operators with basic knowledge of how to safely operate the E-Crane and how to avoid errors while reducing downtime. We can only give theoretical training at our facilities, but practical “on the job” training is also available and is usually completed on the client’s installed machine. Port-Trade were at our facility for four days. Day one was spent on the road with our service engineers for on site training at the Port of Ghent at the facility of one of our clients, Galloo. The following days were spent in Adegem, with the first day overlapping with the Herbosch-Kiere operators, giving them the same modules. The last two days were spent on Advanced Hydraulics, Electrical and Mechanical training. We simulated errors on the test stand and taught them how to connect to the EMM system with their own laptops for troubleshooting. We also let them get acquainted with our new control system for the C-Series, as one of the new cranes soon to be delivered will be one of the first running on the new system. We even made them an account for online access of the EMM system so they can assist their clients remotely. Impressive E-Crane in ECI-USA’s backyard !